By Keith Cowing on August 31, 2013 9:04 AM. "With only six weeks left in FY2013, Congress and the Obama Administration finally reached agreement on NASA's FY2013 operating plan that details how the agency will spend the money appropriated by Congress. Although the agency was subject to across-the-board cuts of about 7 percent that were to be applied proportionately to all its activities, at least two projects were spared those cuts -- the commercial crew program and the James Webb Space Telescope." "The FY13 budget approval was especially messy this year because Congress failed to pass a final budget until last spring (around six months late). The budget was then automatically cut through a process known as the Sequester. The Administration then reportedly proposed larger cuts to the planetary program to spare other parts of the NASA budget the effects of the Sequester. Congress reportedly rejected that division of cuts, resulting in negotiations and the final budget supplied to Space Policy Online. By Keith Cowing on August 29, 2013 11:42 PM. "Renowned astrophysicist and StarTalk Radio host Neil deGrasse Tyson doesn't think a private enterprise, such as SpaceX, could ever lead a space frontier. "It's not possible. Space is dangerous. It's expensive. There are unquantified risks," Neil deGrasse Tyson tells us. "Combine all of those under one umbrella; you cannot establish a free market capitalization of that enterprise." 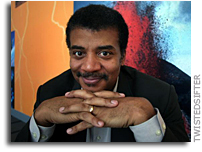 Keith's note: Neil deGrasse Tyson is an astrophysicist who does TV shows and runs a planetarium. Elon Musk is a billionaire who builds rockets that fly into space. Neil deGrasse Tyson goes out of his way to talk about how you can't do things. Musk just goes out and does those things. deGrasse Tyson is afraid to take the risks that go with exploration. Musk takes the risks. My money is on Musk. By Keith Cowing on August 29, 2013 10:08 PM. 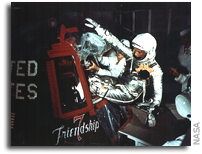 "George Washington University (GWU) space policy experts John Logsdon and Scott Pace agree NASA is adrift today, particularly with regard to the human spaceflight program, and blame the White House for a lack of leadership. ... Both believe NASA is adrift today and criticized the Obama Administration for its lack of leadership. Logsdon stressed that when he talks about a lack of leadership he is referring more to the White House than to NASA itself." Do You Really Trust NASA Not to Ruin Your Mobile Device? By Keith Cowing on August 29, 2013 8:09 PM. "In the coming months, the NASA Office of the Chief Information Officer (OCIO) will be working to develop a formal policy to govern the use of personal devices, also known as "Bring Your Own Device (BYOD)". Until then, I have directed the OCIO to enroll every personal mobile device that accesses the NASA email system into a management profile that helps to secure NASA data, just like is currently done on NASA's government issued devices. This change, effective September 10, 2013, will enforce a minimum set of security requirements on your personal mobile device if you wish to directly access NASA's email and calendaring resources from your device's email client. This change will only affect mobile devices, i.e., those running a mobile operating system such as Apple's iOS, Google's Android, etc. It will not affect laptops, nor will affect any access to email via webmail." "You should assume, if you connect your personal device in this manner, that the agency will be able to read and access any data you have on your personal device and that the agency will retain the ability to remotely erase everything on that device. The union has secured an agreement that employees' personal phones will not be remotely wiped without prior permission from the owner, and I will keep you posted if that policy is altered." Keith's note: It is nice to see NASA slowly dragging itself into the 21st century. But based on the non-stop trail of IT blunders and damning OIG reports on NASA's chronic inability to get IT right, I'd be very leery of directly connecting any personal computer to NASA. Do you really trust the same group that allowed all of your personal info to sit on laptops that seem to be stolen on a regular basis? Have a look at the NASA CIO security requirements that NASA wants to place on what you can and cannot do with your mobile device if you connect it to NASA and what NASA can do to it if you do. You might as well just give the phone to NASA. By Keith Cowing on August 29, 2013 6:14 PM. "The spaceports don't compete for the same launches, so they could work together to offer customers launching options on both the East and West coasts, said Dale Nash, executive director of the Virginia Commercial Space Flight Authority, which operates the Mid-Atlantic Regional Spaceport on Wallops Island. Nash came to Virginia in 2012 after departing as CEO of the Alaska Aerospace Corp, which operates KLC, a spaceport on Kodiak Island. The Alaska facility has struggled financially, with the Legislature there threatening to cut its funding if it didn't bring in more business." "The MOU defines the intent of the Commonwealth of Virginia and the State of Alaska to initiate a collaborative and cooperative partnership for spaceport operations. Future launch customers will realize business advantages as the partnership will promote efficiency between MARS and the Kodiak Launch Complex (KLC) designed to create commonality between the two spaceports that decreases costs and improves performance." By Keith Cowing on August 29, 2013 12:56 PM. "One of the most remarkable minds of 20th century exploration was stilled this morning, August 29, 2013, when Bruce C. Murray died of Alzheimer's disease at the age of 81. The Planetary Society owes its existence to Bruce, who with Carl Sagan, decided in 1979 that the world needed an organization that would harness the public's fascination planetary exploration and demonstrate to politicians that voters would support those who supported planetary exploration. Bruce and Carl directed the organization together for sixteen years, until Carl's death, and Bruce took over as president for another 5 years." "Dr. Murray was director of the Jet Propulsion Laboratory, a space exploration arm of NASA, from 1976 to 1982. He began working for the space laboratory in 1960 while serving as a geology professor at the California Institute of Technology, which manages the JPL, based in Pasadena, Calif."
By Keith Cowing on August 29, 2013 12:46 PM. "China set a bold new course in its ambitious space program Wednesday, when it announced plans to land its first probe on the moon by the end of the year." By Keith Cowing on August 29, 2013 12:23 AM. 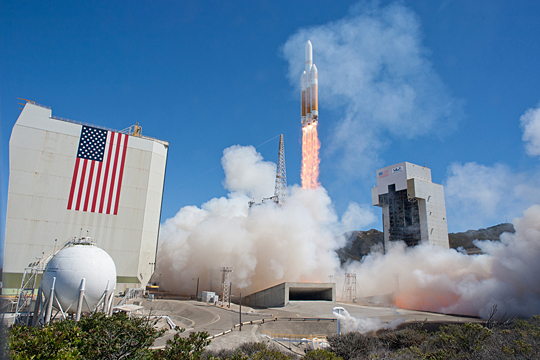 "A United Launch Alliance (ULA) Delta IV Heavy rocket carrying a payload for the National Reconnaissance Office (NRO) lifted off from Space Launch Complex-6 here at 11:03 a.m. PDT Wednesday. Designated NROL-65, the mission is in support of national defense. This is ULA's eighth launch in 2013, the 24th Delta IV mission and the second Delta IV Heavy launch from Vandenberg Air Force Base." By Keith Cowing on August 28, 2013 7:18 PM. Is Russia Planning To Ban RD-180 Sales to the U.S.? By Keith Cowing on August 27, 2013 8:41 PM. "Russia's Security Council is reportedly considering a ban on supplying the US with powerful RD-180 rocket engines for military communications satellites as Russia focuses on building its own new space launch center, Vostochny, in the Far East. A ban on the rockets supply to the US heavy booster, Atlas V, which delivers weighty military communications satellites and deep space exploration vehicles into orbit, could put a stop to NASA's space programs - not just military satellites." Keith's note: The RD-180 powers the Atlas V. This report is posted on Russia Today - an organization that loves to post conspiracy theories as "news" and often serves as a de facto propaganda arm of the Russian government. The link to this story seems to work intermittently. By Keith Cowing on August 27, 2013 8:08 PM. According to NASA "NASA's Orion, Space Launch System and Ground Systems Development and Operations programs continued to make progress towards sending humans beyond Earth's orbit during the past quarter." This video has lots of computer animations and video of how SLS and other systems are being designed and built. By Keith Cowing on August 27, 2013 7:24 PM. "NASA's Mars rover Curiosity has used autonomous navigation for the first time, a capability that lets the rover decide for itself how to drive safely on Mars. The capability uses software that engineers adapted to this larger and more complex vehicle from a similar capability used by NASA's Mars Exploration Rover Opportunity, which is also currently active on Mars. Using autonomous navigation, or autonav, Curiosity can analyze images it takes during a drive to calculate a safe driving path. This enables it to proceed safely even beyond the area that the human rover drivers on Earth can evaluate ahead of time." By Keith Cowing on August 27, 2013 12:24 PM. "In the new economy of commercial ventures into Earth's orbit, the B612 Foundation is aiming for much farther--into deep space--propelled by nothing but philanthropic dollars. Although the team's mission design has sparked some dissent and the fundraising goal is steep, all agree that Sentinel's dynamic cartography of the swarm of objects in Earth's milieu would transform planetary science. Says physicist Mark Boslough, an impact specialist at Sandia National Laboratories in Albuquerque, New Mexico: "If we're going to take the impact threat seriously, we have to do something like this." By Keith Cowing on August 27, 2013 12:11 PM. "NASA-funded lunar research has yielded evidence of water locked in mineral grains on the surface of the moon from an unknown source deep beneath the surface. Using data from NASA's Moon Mineralogy Mapper (M3) instrument aboard the Indian Space Research Organization's Chandrayaan-1 spacecraft, scientists remotely detected magmatic water, or water that originates from deep within the moon's interior, on the surface of the moon." "The argument of the Mars advocates are all based upon the results of missions to the red planet over the past few decades, this lunar advocate just wonders how much more we would have learned about the Moon if a similar number of missions had flown there. Mars is a destination of romance, the moon of utility. At the end of the day, utility will triumph as without the utility of the riches in resources that the Moon brings, there will be no romance on Mars." By Keith Cowing on August 27, 2013 10:59 AM. "Over the last 26 years, NASA's Ames Research Center in Silicon Valley, Calif., has organized a global Space Settlement Design Contest to encourage students around the world to tackle the many challenging issues critical to designing habitable space colony environments and transportation systems." "So as you study your work, your yard, your watershed, your bio-community and human community, your weather, your access to tools, your night sky, and your prospects in Space, be aware that they are studying you." 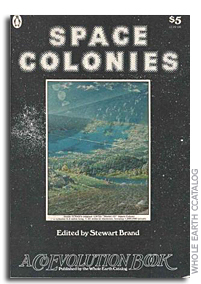 Continue reading Space Colonies Are Back (Actually They Never Left). Continue reading CASIS and Confusing Claims of Confidentiality. By Keith Cowing on August 25, 2013 3:54 PM.
" ... Although the views are shown in daylight, the LADEE launch is scheduled to occur at approximately 11:27 PM EST. The views below give an indication of the direction where you should look to see the launch, along with nearby features. In addition, weather and local lighting conditions can and will have a large effect on what a viewer will see." Keith's note: Luckily for me, I can walk across the street from my house in Reston, VA and look at an opening in the trees to the east and see nearly all of the launch. Continue reading NASA's Confusing Policy on Social Media Accounts. By Keith Cowing on August 25, 2013 8:10 AM. "As Director of Planetary Exploration at NASA, Bob was instrumental in sending spacecraft to all eight planets of the Solar System. At the Rocketdyne division of North American Aviation in CA, he had a hand in designing every rocket engine that sent Americans into space until the Space Shuttle. He earned the Distinguished Service Medal, NASA's highest honor." Google Lunar X Prize: Changing Rules - and Fewer Entrants? By Keith Cowing on August 24, 2013 3:34 PM. "For the first time in its 18-year history, the X Prize Foundation is canceling one of its $10 million competitions for technological innovation: the Archon Genomics X Prize, which was designed to reward quick and accurate whole-genome sequencing. ... In her report on the prize program's cancellation, PHG Foundation's Phillippa Brice said the decision was bad news for the entrants, "who apparently come away with thanks and good wishes and (presumably) a refund of their $25,000 entrance fee, but without so much as a memory stick to help further their research." (typos corrected) "The Master Team Agreement version 4.1 is now out for signature. Given the importance of this document, and the time it has taken to reach this point, a signature timing of 10 days in the middle of August seems a bit too short... The Euroluna Team has therefore asked for an extension until the 7th of September 2013." Keith's note: The deadline for all Google Lunar X Prize entrants to sign the mandatory (revised) Teaming Agreement was Friday 23 August. This teaming agreement contained a major revision to the rather strict set of rules levied upon all entrants as to what they can and cannot do. Sources report that a number of existing entrants did not sign the agreement by the deadline. 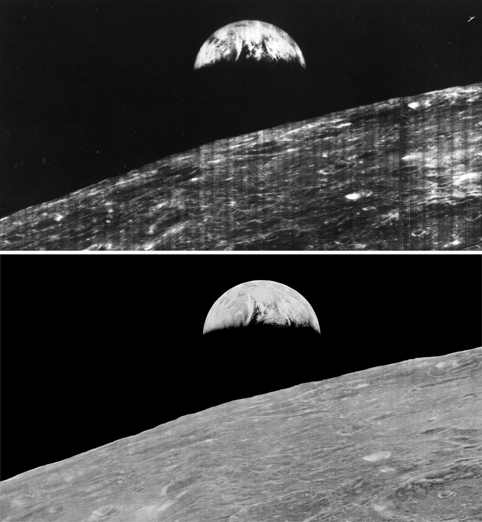 Continue reading Google Lunar X Prize: Changing Rules - and Fewer Entrants?. By Keith Cowing on August 21, 2013 11:35 PM. "C. Gordon Fullerton, who compiled a distinguished career as a NASA astronaut, research pilot and Air Force test pilot spanning almost 50 years, died Aug. 21. He was 76. Fullerton had sustained a severe stroke in late 2009, and had been confined to a long-term care facility in Lancaster, Calif., for most of the past 3 1/2 years. Fullerton logged 382 hours in space flight on two space shuttle missions while in the NASA astronaut corps from 1969 to 1986. He then transferred to NASA's Dryden Flight Research Center at Edwards Air Force Base, where he served for 22 years as a research test pilot on a variety of high-profile projects. During the latter years of his career at NASA Dryden, he served as Associate Director of Flight Operations and as chief of the directorate's flight crew branch prior to his retirement at the end of 2007." Keith's note: I can clearly recall seeing Gordon Fullerton's antics in the portion of this video that starts at 09:48. I worked at Rockwell Downey at the time and my co-workers did all of the company's launch and landing photography. They were complaining for weeks about having to take all of their cameras apart to get the gypsum dust out after the landing at White Sands. By Keith Cowing on August 21, 2013 9:42 AM. By Keith Cowing on August 20, 2013 6:27 PM. "The Great Barrier Reef extends for 2,000 kilometers (1,240 miles) along the northeastern coast of Australia. It is not a single reef, but a vast maze of reefs, passages and coral cays (islands that are part of the reef). The white calcium carbonate that coats the living coral reflects light, making the water above the reef appear bright blue from space. This phenomenon allows the reef to be the largest living organism visible in National Aeronautics and Space Administration (NASA) satellite photos and videos ..."
Keith's note: Wrong. Coral reefs are collections of lots of organisms of many different species - not a single organism. "The largest living organism visible from Earth orbit" is most likely Pando - although larger examples may be awaiting discovery. "Pando (Latin for "I spread"), also known as The Trembling Giant, is a clonal colony of a single male quaking aspen (Populus tremuloides) determined to be a single living organism by identical genetic markers and one massive underground root system. The plant is estimated to weigh collectively 6,000,000 kg (6,600 short tons), making it the heaviest known organism. The root system of Pando, at an estimated 80,000 years old, is among the oldest known living organisms." By Keith Cowing on August 20, 2013 11:20 AM. 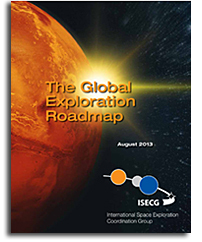 "NASA and 11 other ISECG member agencies have released an update to the 2011 Global Exploration Roadmap. The updated document reflects ongoing dialog and continued preparation for exploration beyond low-Earth orbit - beginning with the International Space Station (ISS) and expanding human presence throughout the solar system, leading to human missions to the surface of Mars. The GER highlights the critical role of the International Space Station in preparing for deep-space exploration. Keith's note: Page 8: "Observation: In order to build a sustainable human space exploration endeavour that lasts decades, agency leaders should maintain a focus on delivering value to the public." Alas, Charlie Bolden still cannot explain to the public why NASA needs to go grab an asteroid and put it into lunar orbit and then have people visit it. How can people see the value of this mission if no one at NASA can explain why it needs to be done? By Keith Cowing on August 20, 2013 12:43 AM. Keith's note: I am the first one to complain that NASA does not touch the public as well as it could and am always eager to applaud them when they do. Its nice that "Mohawk Guy" (authentic rocket scientist Bobak Ferdowsi) has energized some subset of the geek chic community. But NASA seems to be obsessively focusing on him and his niche impact while gutting education and public outreach programs across the agency. In addition, while travel is being cut for scientific and technical meetings, Bobak gets to fly all over the place to do receptions and photo ops. Where's the NASA focus on jocks, history majors, people without a career interest, inner city youth, blue collar workers, farmers, accountants, and everyone else who pays taxes and has a stake in what NASA does - and probably doesn't even know what NASA already does for them? How many young people did he actually energize in the OSTP meeting room and at the receptions on Capitol Hill? So long as NASA stays obsessed with their infrequent home grown media stars such as Mowhawk Guy they will not focus on the rest of us. No offense Bobak, I know you mean well, and that you do a lot of things on your own time out of sincere interest in NASA - and I hope that you continue to do so, but NASA needs to be about much more than a cool smart guy with a edgy haircut. NASA needs to reach out to the remaining 98/99% of the people who pay the bills and have little or no idea what NASA does or means to their daily lives. NASA does not need to focus its limited resources on nerds who already understand what NASA does. Enough with the choir practice. By Keith Cowing on August 19, 2013 7:18 PM. "In a speech the following day at the conference, [Mike] Griffin said that X-vehicles in general can do several key things essential in aerospace development, including proving out technologies before getting locked into vehicle configurations, determining what the requirements should be for future vehicles, and demonstrating systems engineering. He lamented, though, the lack of X-vehicle development today. "It is a lapse of government science and technology policy at the very top levels that has caused our aggressive pursuit of X-vehicle programs to lapse," he said. "I would do anything to bring it back to the forefront of public thinking." Keith's note: Gee, Mike ... who was it that killed everything that Craig Steidle wanted to do at NASA? There was certainly a whole lot of x-vehicle type thinking in Steidle's plan. And Steidle's plan was killed so as to create your government-designed "Apollo on Steroids" (your exact words)? Am I missing something? Pot-Kettle-Black, Mike? By Keith Cowing on August 19, 2013 5:15 PM. Keith's note: Correct me if I am wrong but I do not seem to recall an official NASA Twitter account using the #americanmade hashtag for tweets about SpaceX, Orbital, Bigelow, or SNC spacecraft. Is this part of a new NASA media strategy for commercial space? They don't use #russianmade when they tweet about Soyuz or Progress launches. Just wondering. Keith's update: @Bernard_Stedman Just Tweeted: "@NASAWatch So will there also be a #europeanmade hashtag for @NASA_Orion's service module I wonder ? !" By Keith Cowing on August 19, 2013 10:07 AM. "Sources on Capitol Hill and within NASA said Blue Origin's protests forced the space agency to announce a competition for the pad in May. The dispute also has drawn the attention of two members of the powerful House Appropriations Committee. In a July 22 letter to NASA Administrator Charlie Bolden, U.S. Reps. Frank Wolf, R-Va., and Robert Aderholt, R-Ala., said "NASA appears to be racing to lease LC-39A" and urged a closer review. "Given that taxpayers have invested hundreds of millions, if not a billion dollars, to develop this launch complex, there are serious questions of fiscal responsibility and transparency," they wrote. Agency officials have put no timeline on a decision, although it's widely thought NASA wants to select a winner by Oct. 1, the start of the federal fiscal year." By Keith Cowing on August 18, 2013 5:58 PM. "NASA is asking the International Astronomical Union to name a crater on the moon in his honor "so his name will be forever enshrined in the heavens." By Keith Cowing on August 18, 2013 12:32 PM. "It is really an elegant bringing together of our exciting human spaceflight plan, scientific interest, being able to protect our planet, and utilizing the technology we had invested in and were already investing in," said Lori Garver, NASA deputy administrator. But the mission is viewed skeptically by many in the space community. 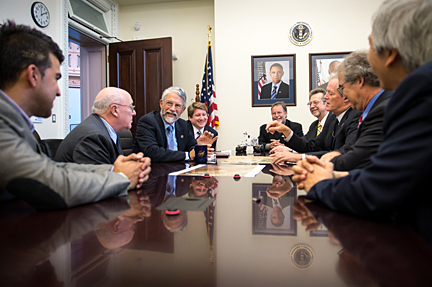 At a July gathering of engineers and scientists at the National Academy of Sciences, veteran engineer Gentry Lee expressed doubt that the complicated elements of the mission could come together by 2021, and said the many uncertainties would boost the costs. "I'm trying very, very hard to look at the positive side of this, or what I would call the possible positive side," he said. "It's basically wishful thinking in a lot of ways - that there's a suitable target, that you can find it in time, that you can actually catch it if you go there and bring it back," said Al Harris, a retired NASA planetary scientist who specializes in asteroids. "Of course there's always luck. But how much money do you want to spend on a chance discovery that might have a very low probability?" said Mark Sykes, a planetary scientist who chairs a NASA advisory group on asteroids." 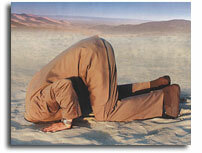 Continue reading Bolden's Confusing Asteroid Mission Rationale (Revised). By Keith Cowing on August 15, 2013 7:30 PM. "For example, the MPCV Program is beginning to experience testing delays that could result in schedule interruptions and cost increases down the road. Specifically, test dates have slipped 4 years on the Ascent Abort-2 test and 9 months on the Exploration Flight Test-1. NASA has also delayed development of many of the life support systems required for crewed missions. Similarly, reliance on timely progress of the SLS and GSDO programs and the ESA for the Service Module adds risk that is outside the control of the Program and could have a negative impact on the MPCV and NASA's overall exploration mission goals. Moreover, even after the MPCV is fully developed and ready to transport crew, NASA will continue to face significant challenges concerning the long-term sustainability of its human exploration program. For example, unless the Agency begins a program to develop landers and surface systems, NASA astronauts will be limited to orbital missions using the MPCV. Under the current budget environment, it appears unlikely that NASA will obtain significant funding to begin development of additional exploration hardware, thereby delaying such development into the 2020s." By Keith Cowing on August 15, 2013 2:24 PM. "Following months of analysis and testing, the Kepler Space Telescope team is ending its attempts to restore the spacecraft to full working order, and now is considering what new science research it can carry out in its current condition. 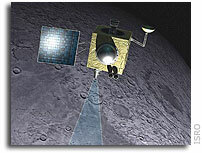 Kepler completed its prime mission in November 2012 and began its four-year extended mission at that time. However, the spacecraft needs three functioning wheels to continue its search for Earth-sized exoplanets, which are planets outside our solar system, orbiting stars like our Sun in what's known as the habitable zone -- the range of distances from a star where the surface temperature of a planet might be suitable for liquid water. As scientists analyze previously collected data, the Kepler team also is looking into whether the space telescope can conduct a different type of science program, including an exoplanet search, using the remaining two good reaction wheels and thrusters." By Keith Cowing on August 15, 2013 12:29 PM. "Voyager 1 appears to have at long last left our solar system and entered interstellar space, says a University of Maryland-led team of researchers. Carrying Earthly greetings on a gold plated phonograph record and still-operational scientific instruments - including the Low Energy Charged Particle detector designed, built and overseen, in part, by UMD's Space Physics Group - NASA's Voyager 1 has traveled farther from Earth than any other human-made object. And now, these researchers say, it has begun the first exploration of our galaxy beyond the Sun's influence." "Other models envision the interstellar magnetic field draped around our solar bubble and predict that the direction of the interstellar magnetic field is different from the solar magnetic field inside. By that interpretation, Voyager 1 would still be inside our solar bubble. The fine-scale magnetic connection model will become part of the discussion among scientists as they try to reconcile what may be happening on a fine scale with what happens on a larger scale." By Keith Cowing on August 12, 2013 11:05 AM. "NASA SMD intends to release an Announcement of Opportunity (AO) entitled Mars 2020 Investigations to solicit proposals for investigations for a space flight mission to Mars, to be launched in July/August 2020. The target date for release of the AO is no earlier than (NET) September 16, 2013. The SMD budget for Phases A-D is expected to be approximately $100 million in real year (RY) dollars. Investigations comprised of individual instruments or multiple instruments (suites) may respond to the overall Mars 2020 science objectives to explore and quantitatively assess Mars as a potential habitat for life, to search for signs of past life, and to collect carefully selected samples for possible future return to Earth. Proposals that address objectives for advancing knowledge or technologies for future robotic and/or human exploration of Mars will also be solicited." How Would You Use Kepler? By Keith Cowing on August 8, 2013 7:02 PM. "The purpose of this call for white papers is to solicit community input for alternate science investigations that may be performed using Kepler and are consistent with its probable two-wheel performance. Herein, we provide initial information as to the preliminary assessment of the pointing ability of the Kepler spacecraft using only two reaction wheels. In addition, we provide baseline information on the Kepler focal plane imaging CCD array (Kepler's only instrument) and give estimates of the photometric performance that may be possible in two-wheel mode." By Keith Cowing on August 6, 2013 6:35 PM. "... we are concerned with two issues that may undermine Virginia's ability to continue developing MARS. The first involves allocation of 21st Century Space Launch Complex Program Funds. While the NASA/MARS team now provides half of U.S. access to the ISS, Wallops Island/MARS has received only a minimal amount of the 21st Century Space Launch Complex Program funding appropriated by Congress. In fact, the overwhelming majority of available funds has been spent in Florida. The second issue involves the pending lease of Launch Complex 39A at the Kennedy Space Center ("KSC"). It is our understanding that NASA is considering leasing that pad to a commercial launch provider for a de minimis amount that does not reflect either the actual value of the pad or past investments in it." By Keith Cowing on August 5, 2013 9:01 PM. "The inspector general won't discuss how much all this cost, but [Ved] Chirayath did a quick calculation, totaling up the number of interviews, multiplied by the work hours, multiplied by the salary of the investigator and others involved. "I came to a lower-end budget of around $40,000, and an upper end of around $600,000," he says. That's far more than the cost of a professional photo shoot, even if NASA had paid for it, he says. Grassley says that these sorts of inquiries are not part of a Viking witch hunt, but that asking questions like this are part of his job as a senator." "For example, I recently received information that at least four NASA employees, including highly paid SES employees, participated in a so-called "Physics in Vogue" photo-shoot, dressed in Viking garb. The shoot appears to have been conducted on a Friday in December during normal working hours and depicts NASA employees growling, yelling and brandishing replica swords and daggers." Keith's note: In other words, Sen. Grassley's staff can send goofy letters to NASA and force them to waste taxpayer's money proving that they did not waste any taxpayer's money - because he can. Since Sen. Grassley's crack staff are clearly rather desperate for things to investigate, maybe they should dig into the cost of this 2012 JSC staff holiday video. There are no Vikings in it (sorry) but I do see Yoda, banana guy, antler girls, neon feathered boa girls, santa's helpers, guitar guy, cat in the hat, MIB guys, weightlifter guy, astronauts, cheerleaders, and Darth Vader. And while there was no "growling, yelling and brandishing replica swords and daggers" there was gratuitous bad lip synching, silly dance moves, and a lot of props - some of which could have caused grave injury if mishandled (a great OSHA angle). Plus, as an added bonus, the video even has an official NASA logo (twice!) and it was filmed while the sun was up in a NASA building. Just think of all the research Sen. Grassley's staff can do on government time and the goofy questions they can ask Charlie Bolden to make his people research and respond to - on government time. How dare these government employees have a Christmas party. What were they thinking? This page is an archive of recent entries written by Keith Cowing in August 2013. Keith Cowing: July 2013 is the previous archive. Keith Cowing: September 2013 is the next archive.